Dr Hartin grew up with three brothers in North Queensland. He undertook undergraduate studies at The University of Queensland, Brisbane, majoring in theoretical physics. In his final year, he was awarded a research scholarship to the Australian National University, Canberra, where he worked in the Atomic and Molecular Physics Laboratories on Electron Momentum Spectroscopy. Dr Hartin went on to study medicine at the University of Queensland, based at The Royal Brisbane Hospital. During this time, he spent three months in rural India, working in a small mission hospital. 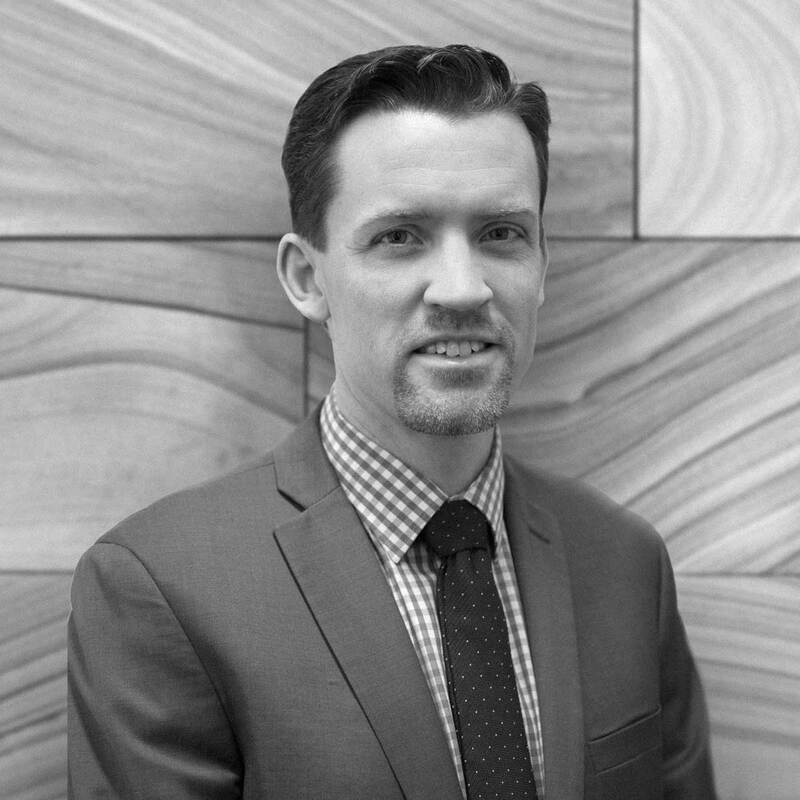 After graduating from medical school, Dr Hartin moved to Sydney where he undertook four years of basic surgical training, followed by four years of advanced training in Orthopaedic Surgery. His subspecialty interest was Spine Surgery and his training time included a period studying Paediatric Spine Deformity Surgery at the Shriner’s Hospital for Children, Portland, Oregon USA. After he was awarded the Fellowship of the Royal Australasian College of Surgeons, Dr Hartin undertook subspecialty Spine Trauma training at Royal North Shore Hospital. Dr Hartin spent his final year of training at the Twin Cities Spine Center, Minneapolis, Minnesota USA, one of America’s leading spine centres. Upon returning to Sydney in 2012, Dr Hartin was appointed to the Spine and Scoliosis Units at Royal North Shore Hospital and the Children’s Hospital Westmead. His clinical interests include paediatric scoliosis surgery, upper cervical instability and adult and paediatric spine trauma. Dr Hartin is Head of Orthopaedic Surgery at Royal North Shore Hospital and Senior Lecturer in Orthopaedic Surgery at the University of Sydney. Dr Hartin lives on the North Shore with his wife and four children. He enjoys cycling, swimming, reading and spending time with his family. Dr Hartin completed 12 months of advanced training in Spine Surgery at one of the United States’ largest spine centres. The Twin Cities Spine Centre program is accredited by the Accreditation Council for Graduate Medical Education (ACGME) for advanced training in Spine Surgery. His experienced focused on Deformity and Reconstructive Surgery and Minimally Invasive Spine Surgery. Dr Hartin holds a Masters degree in clinical research methodology from the University of Sydney. His areas of research interest include Quality and Safety in Surgery and Clinical Outcome Measurement. Dr Hartin completed 6 months of subspecialty training in Spine Trauma Surgery at New South Wales’ principal spine trauma centre. Dr Hartin undertook four years of Basic Surgical Training and four years of Advanced Surgical Training in Orthopaedic Surgery. He was awarded the Fellowship of the Royal Australasian College of Surgeons in 2010. Training was undertaken at Royal North Shore Hospital, Royal Prince Alfred Hospital, Westmead Hospital and the Mater Hospital. Dr Hartin completed a six month fellowship in Paediatric Spine Deformity Surgery at Shriners’ Hospital for Children, Portland, Oregon, USA. Dr Hartin completed medical school in 2001, graduating with honours. He trained at The Royal Brisbane Hospital. His time at medical school included 3 months in rural India treating tuberculosis and malaria, in addition to surgical emergencies.